I have some exciting news to share with you all! 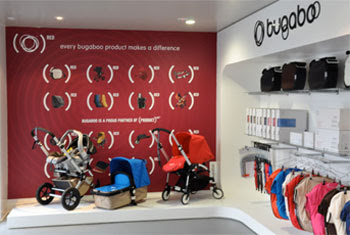 Bugaboo has just opened their first retail store in the United States just down the street in El Segundo! Bugaboo has been headquartered in the South Bay for a while but this is a brand new endeavor for them. 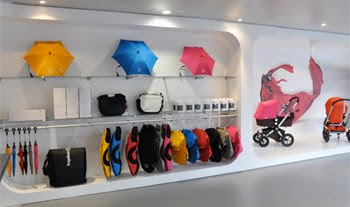 The location is in residential area and is geared to offer the best customer service for Bugaboo products. The space is white, crisp and modern. The Bugaboo products truly shine in there. We used to carry Bugaboo at Sprout and were were always surprised at how wonderful they were in helping customers get replacement parts quickly. The store not only sells the newest Bugaboo products but they offer tune-ups and instructional workshops to keep your stroller in tip top shape. 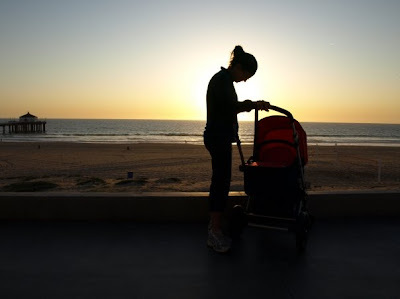 I have a Bugaboo and the Bob Triathalon stroller for my son and love them both. Tripp used the Bugaboo bassinet as an actual bassinet when we traveled as a baby. Funny enough he would even do tummy time in the stroller when we went on walks on the strand. 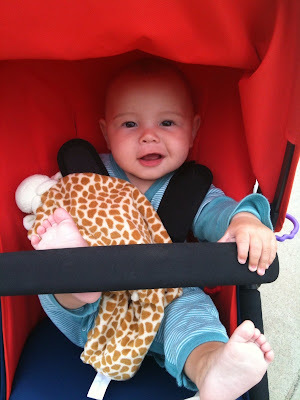 Now we use the Bugaboo primarily for walks into town and when we travel. (The Bob is our jogging stroller). They are open Monday-Friday from 10-6 and are excited to serve the Bugaboo community. I think West and Tripp are the same baby... we have that bugaboo, with that outfit in pic #2, and that is the same lovie he has. Too funny! All I can say is great minds think alike!! !